James Whitehead Nesbitt of the Richmond/Burke County, Georgia area was born August 4, 1847. 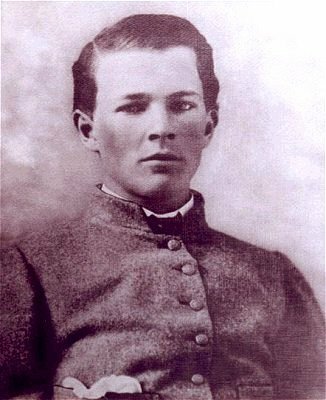 At age 16, he enlisted as a private April 1864 at Augusta in Co. C, 7th Regiment, Georgia Cavalry. He was captured April 14, 1865 near Newton, N.C. while on horse detail. Pvt. Nesbitt was imprisoned about three days and then paroled. After the war, James inherited 4,000 acres of land in Baker County, Georgia from his father Thomas Nesbitt. This land was located in the middle of what is now the Coca Cola "Woodruff" plantation and was at that time called "Locust Level" Plantation. James had to sell the land for taxes in the waning days of reconstruction for 50 cents an acre as he was "land poor" with no labor. James's father had about 12,000 more acres in their home counties of Richmond and Burke which James' siblings inherited. James W. Nesbitt died December 5, 1927. His final resting place is in Albany, Georgia at Riverside Cemetery. Information and Photo contributed by Tom Nesbitt, III, great grandson of James Nesbitt.